Helmet, Summer Flying Type A-10A. By The Bates Shoe Co. Size medium. 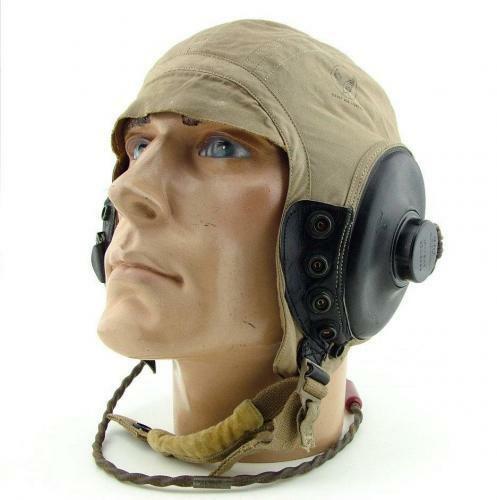 Rare late war variation of the A-10 which is very similar in appearance to the more common AN-H-15 khaki cotton helmet. Fully wired with 'Y' loom, PL-354 jackplug and Western Electric ANB-H-1 receivers. Fitted with a 'flat hook' oxygen mask clip. Very good condition throughout with nice label and AAF ink stamp to exterior. Stock code H21254.